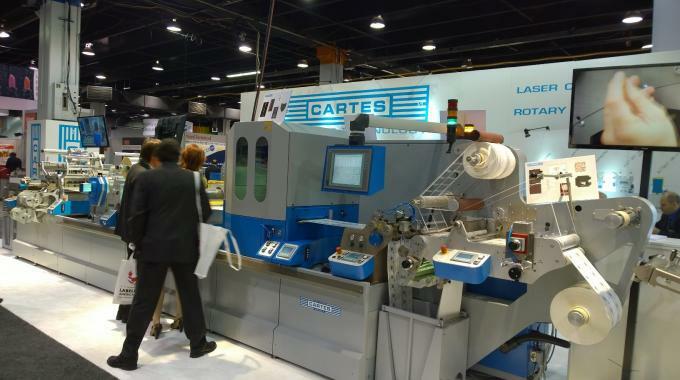 Cartes has launched a semi-rotary die-cutting unit with gearless system, as well as a semi-rotary gearless flexo varnishing unit, for its GT series. The semi-rotary, gearless die-cutting unit is completely controlled by servo motors and equipped with devices designed to simplify operation. For instance, an opening on the top of the unit makes the application and replacement of the flexible die simple with easy access to the cylinder. Further, all data processing and machine parameters are visible in real time on the display and can be saved into the computer of the machine to be quickly recalled and reused. Other features include the Air Gap System (AGS), image distortion system (IDS) and multi-head positioning system (MHPS). AGS manages the inclination of the counter cylinder with micron precision and controls the distance between the die and the material to be cut, so controlling the depth of the cutting. 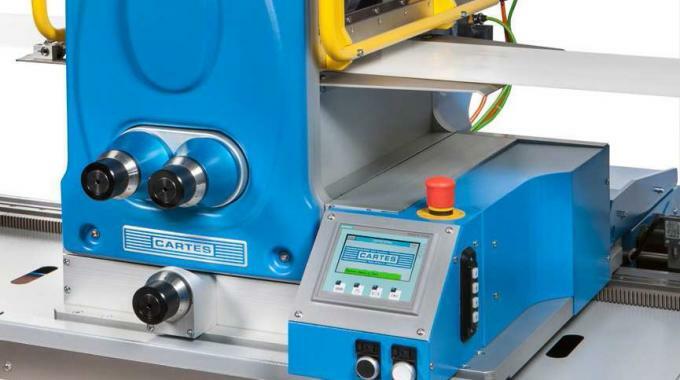 After setting on the display the thickness of the die and of the liner, it is possible to adjust the position of the counter cylinder on screen in order to achieve ‘perfect die-cutting’. With IDS, it is possible to automatically adapt dies created for cylinders of different systems by entering on the display the original development value. Moreover, the software can widen or narrow, by 20 percent, up to five die-cutting paths simultaneously without changing the interspace between them. Due to this distortion capability, it is possible to use flexible dies created for magnetic cylinders with other kinds of systems and also to obtain a wider range of shapes without having to buy and store new dies, Cartes said. 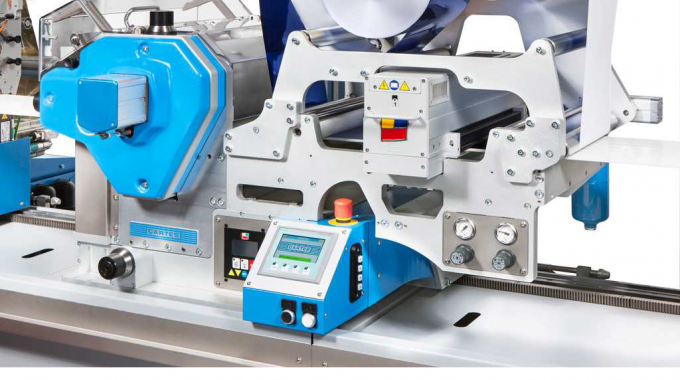 As with all of the GT series units, the semi-rotary die-cutting head is also equipped with an automatic positioning system that corrects any gap irregularities detected on pre-printed materials. The semi-rotary, gearless flexo varnishing unit is also fully driven by servo motors, with access to the cylinder again facilitated by an opening on the top of the unit. A similar software system manages data processing and machines parameters in real time, with an option to call them back at a later date, and IDS and MHPS feature enhance the units productivity. Both systems have a web width of 360mm and a maximum/minimum format of 50-500mm. For the semi-rotary, gearless die-cutting unit, a speed of 60m/min can be achieved, with a die thickness range of 0.2-2mm. The semi-rotary, gearless flexo varnishing system is available in rotary and semi-rotary models, for full background and spot varnishing respectively, and can operate at speeds up to 60m/min.